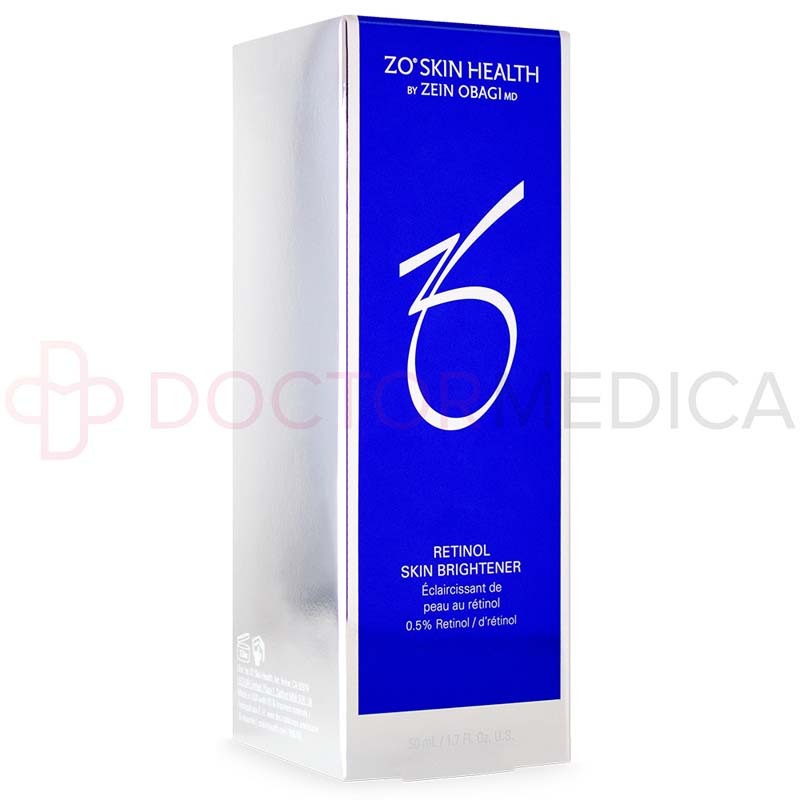 Helps reduce the look of skin pigmentation. Helps brighten skin for a more even skin tone. Helps prevent future damage and discoloration. 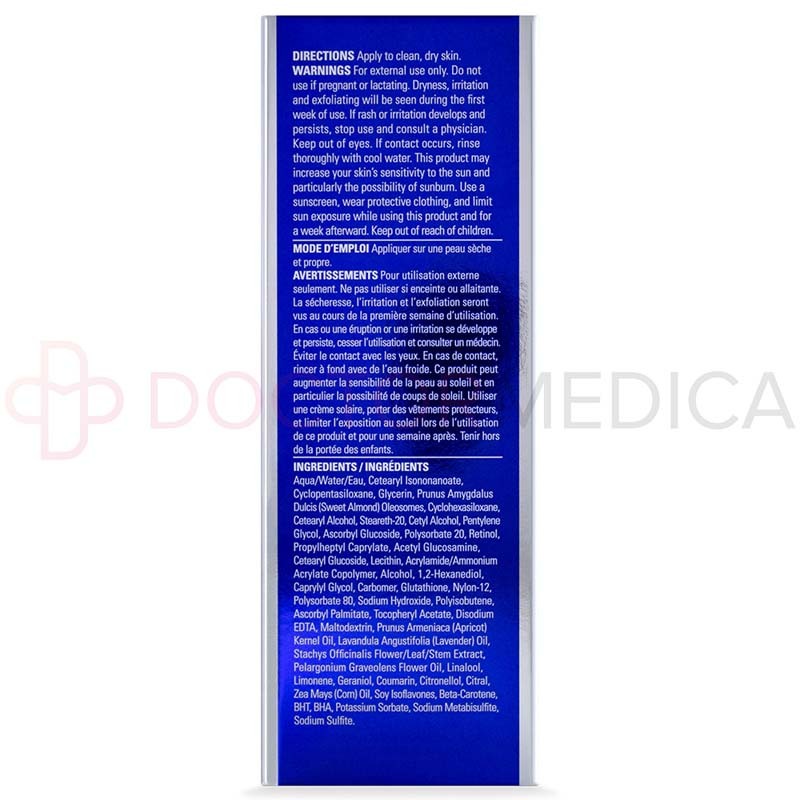 Helps support skin repair and offers antioxidant protection. Active Ingredient: 0.25%, 0.5% or 1% Retinol. Inactive Ingredients: Aqua/Water/Eau, Cetearyl Isononanoate, Cyclopentasiloxane, Glycerin, Prunus Amygdalus Dulcis (Sweet Almond) Oleosomes, Cyclohexasiloxane, Cetearyl Alcohol, Steareth-20, Cetyl Alcohol, Pentylene Glycol, Ascorbyl Glucoside, Polysorbate 20, Retinol, Propylheptyl Caprylate, Acetyl Glucosamine, Cetearyl Glucoside, Lecithin, Acrylamide/Ammonium Acrylate Copolymer, Alcohol, 1,2-Hexanediol, Caprylyl Glycol, Carbomer, Glutathione, Nylon-12, Polysorbate 80, Sodium Hydroxide, Polyisobutene, Ascorbyl Palmitate, Tocopheryl Acetate, Disodium EDTA, Maltodextrin, Prunus Armeniaca (Apricot) Kernel Oil, Lavandula Angustifolia (Lavender) Oil, Stachys Officinalis Flower/Leaf/Stem Extract, Pelargonium Graveolens Flower Oil, Linalool, Limonene, Geraniol, Coumarin, Citronellol, Citral, Zea Mays (Corn) Oil, Soy Isoflavones, Beta-Carotene, BHT, BHA, Potassium Sorbate, Sodium Metabisulfite, Sodium Sulfite. High-potency retinol and ascorbic acid-2 glucoside: Help increase turnover of skin cells and break up existing pigmentation to give the skin a more even and brighter tone. Glutathione, soy isoflavones and n-acetyl glucosamine: Help prevent new age spot formation and discoloration. Stachys officianalis: Helps block messengers that trigger melanin formation. Vitamins C and E: Antioxidants to help protect skin from free radical damage. If desired, mix equal parts RETINOL SKIN BRIGHTENER with Ommerse Renewal Creme or Restoracalm before use. Dispense one or two pumps of skin cream onto fingertips. 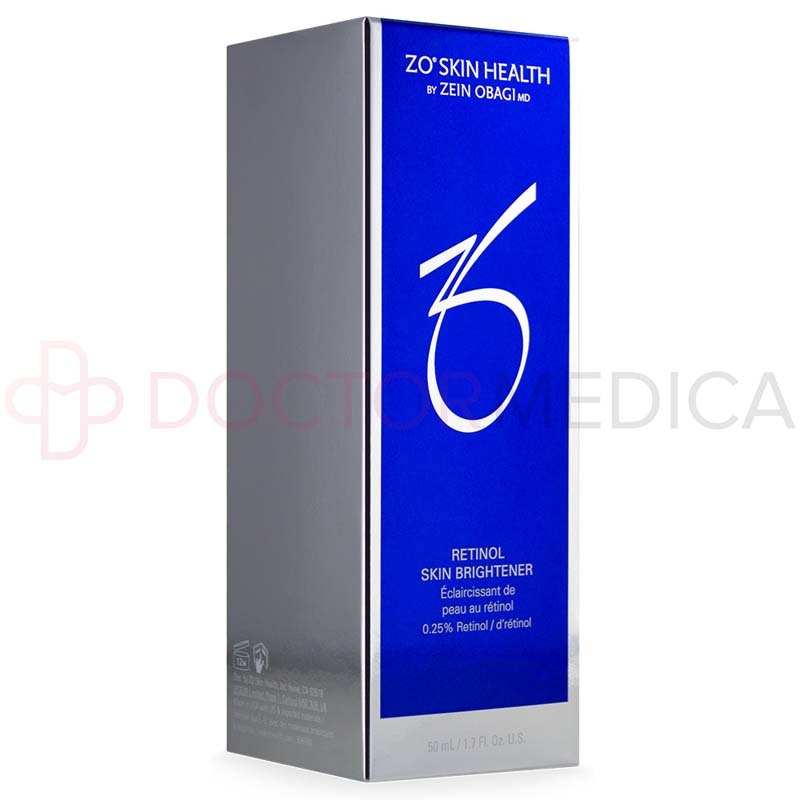 Evenly apply the cream onto the face and other areas with hyperpigmentation. Avoid using this skin cream if allergic to any of its ingredients. Do not use during breastfeeding. Keep out of the eyes, rinsing if necessary. 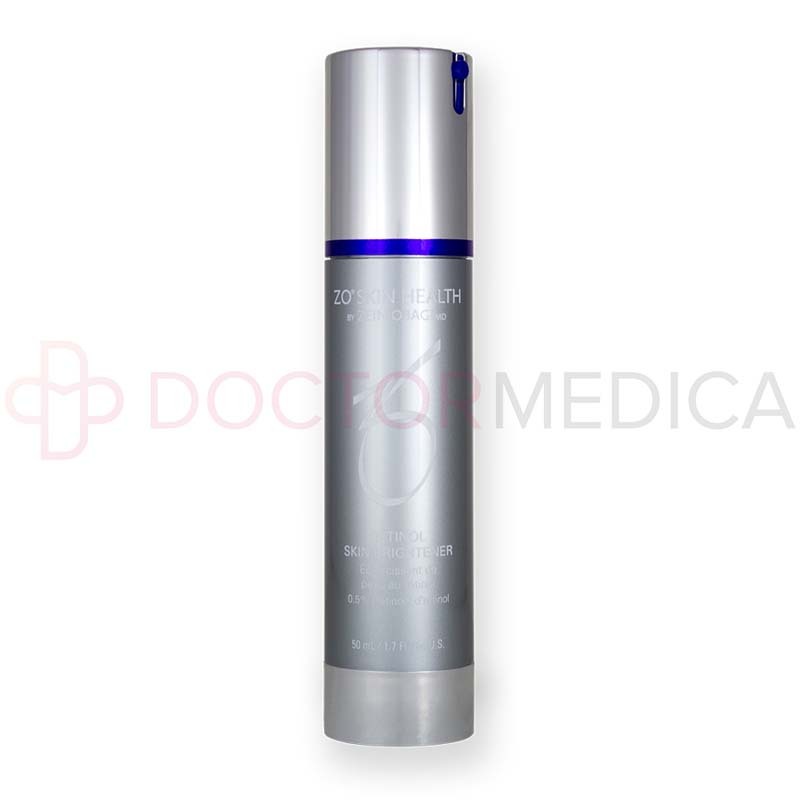 If patient develops a persistent rash or irritation, they should stop using this skin cream and contact a physician. If skin irritation and a burning sensation persist, stop using this product temporarily, and once these side effects subside, gradually increase use as the skin builds up its tolerance. May increase the skin's sun sensitivity, so while using and for a week afterwards, use sunscreen, wear protective clothing, and limit sun exposure. Dryness, irritation, and peeling may develop three to seven days after first use, but these should diminish. If irritation or burning sensation persist, stop using then resume gradually after side effects subside. If rash or irritation develop and persist, stop using and consult a physician. These may not be all the possible side effects. 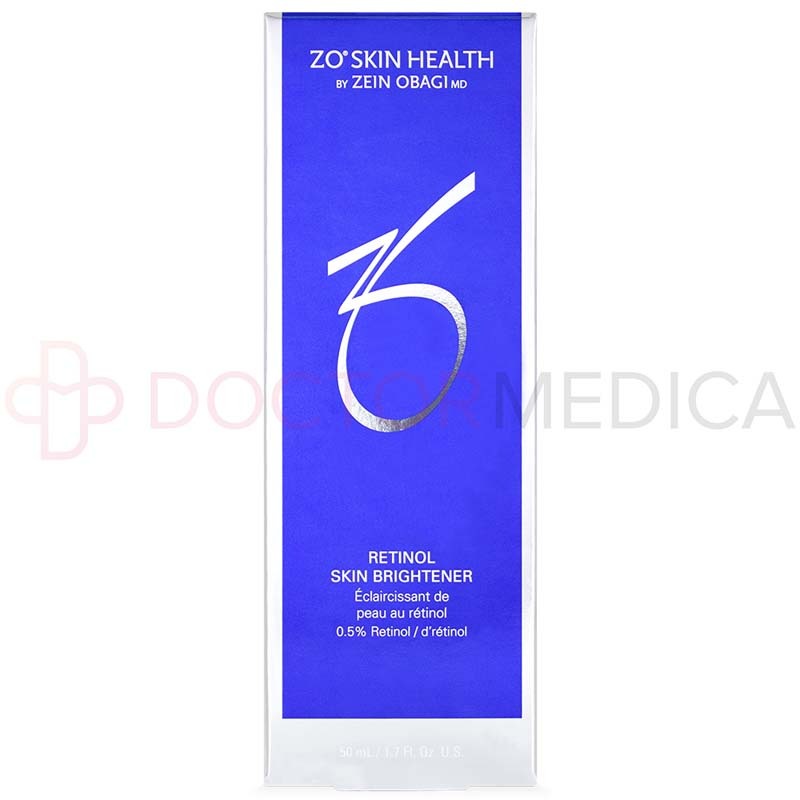 What is ZO® RETINOL SKIN BRIGHTENER? 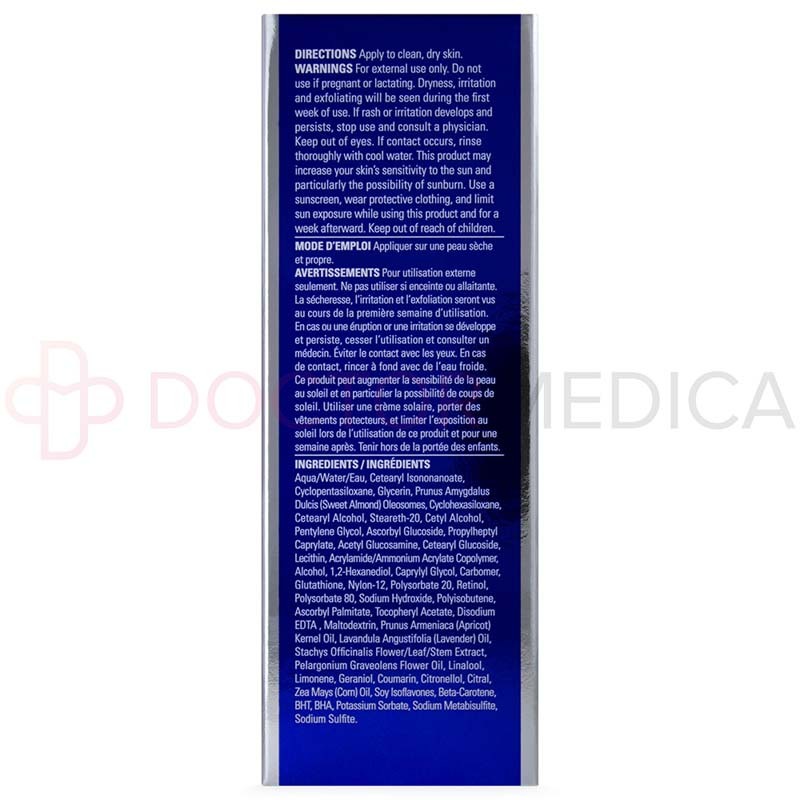 This is a skin cream containing retinol and other ingredients. 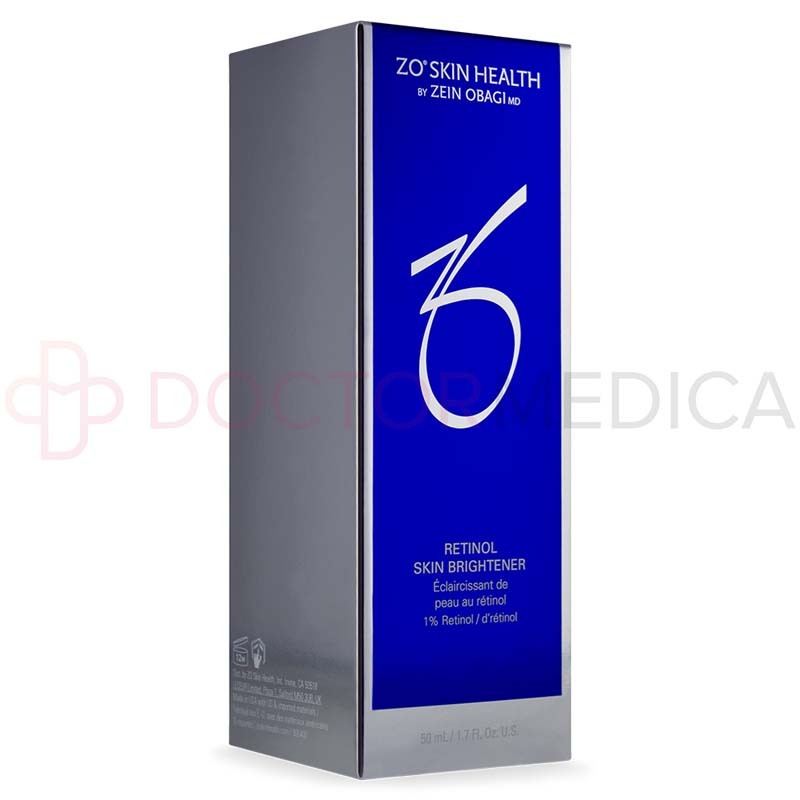 This cream helps treat hyperpigmentation and maintain the look of clear skin after other hyperpigmentation treatments by evening out skin color and tone. When should I use this skin cream? Apply skin cream every other day. Begin using the cream gradually then increase frequency as skin tolerates. Why do doctors recommend this skin cream? Dermatologists and plastic surgeons may recommend this skin cream to their patients who have hyperpigmentation or who have just completed a prescription hyperpigmentation treatment. The cream can target existing dark spots on the skin and help maintain the look of clear skin. How does ZO® RETINOL SKIN BRIGHTENERwork? The retinol in this skin-correcting cream helps increase skin cell turnover, replacing damaged skin cells with new cells. The ascorbic acid helps reduce the look of existing pigmentation while stachys officianalis helps reduce the production of new pigmentation. Other ingredients help to prevent new age spots from forming and act as antioxidants to protect cells from damage. Overall, the ingredients treat existing pigmentation while helping prevent new pigmentation growth. 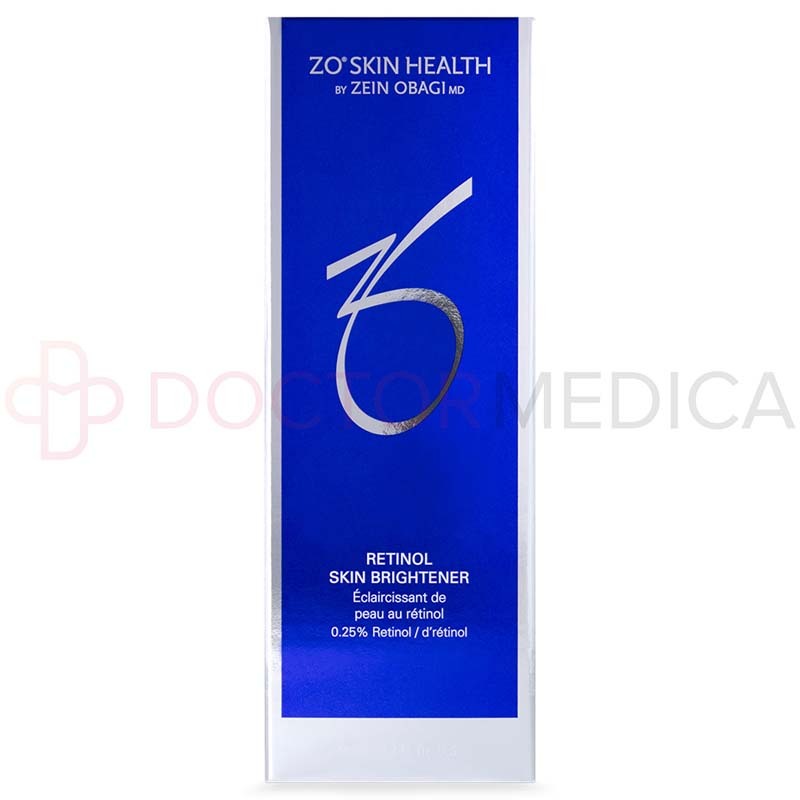 When and how do I use ZO® RETINOL SKIN BRIGHTENER? How do I use this skin cream? Use this skin cream every other day but start gradually and increase frequency as your skin tolerates. Either mix equal parts skin cream with Ommerse® Renewal Crème or Restoracalm™ or use on its own. Dispense one or two pumps of skin cream onto your fingertips, then gently massage the cream into your skin, ensuring even coverage across your face and any other affected areas. Mix skin cream with other creams if desired for more sensitive skin. Gently massage the skin cream into your skin. 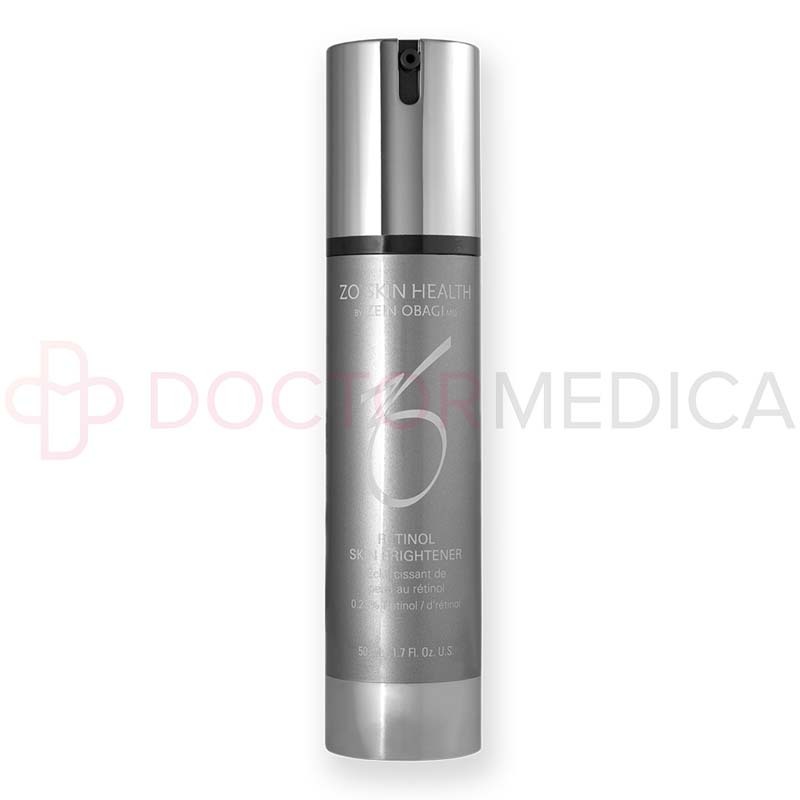 Ensure even coverage across your face and other areas affected by hyperpigmentation. Can this skin cream be combined with other treatments? 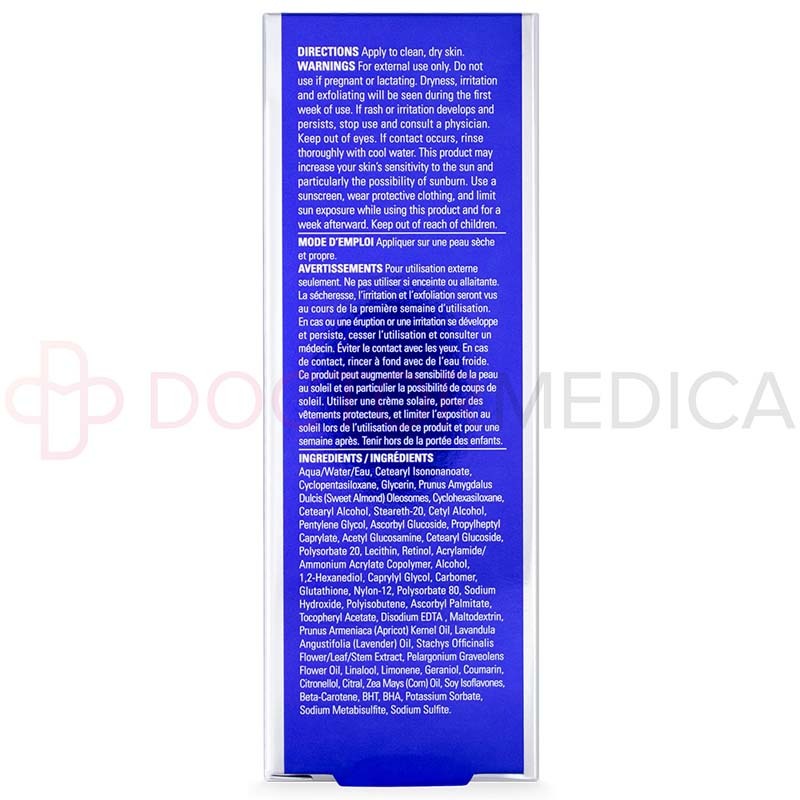 Use this retinol cream on its own or for maintenance after completing a prescription hyperpigmentation treatment. For a gentler treatment, mix ZO® RETINOL SKIN BRIGHTENER with another product such as Ommerse® Renewal Crème or Restoracalm™. How do I store ZO® RETINOL SKIN BRIGHTENER? Store this skin cream at room temperature, out of the reach of children. 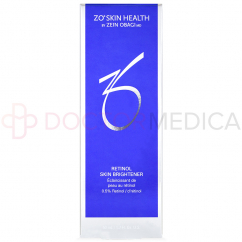 Where can I buy ZO® RETINOL SKIN BRIGHTENER? 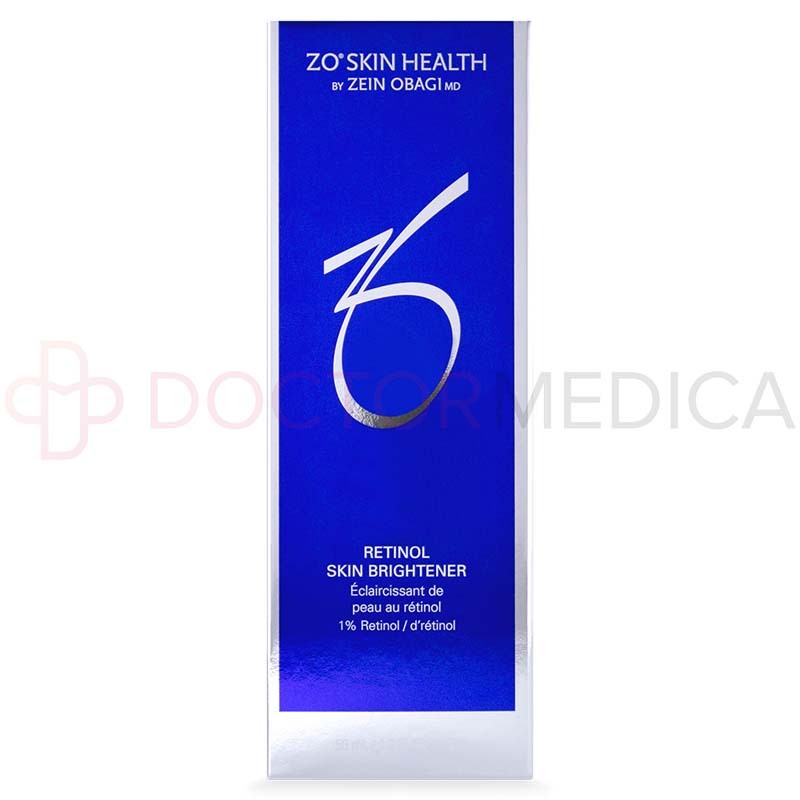 You can buy ZO® RETINOL SKIN BRIGHTENER online at Doctor Medica by choosing a quantity and adding to cart. 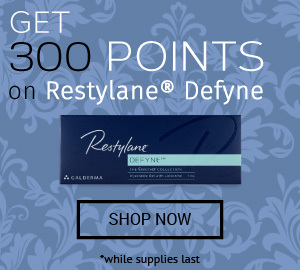 You can also phone a helpful customer service associate to order this retinol cream or other cosmetic and medical supplies.